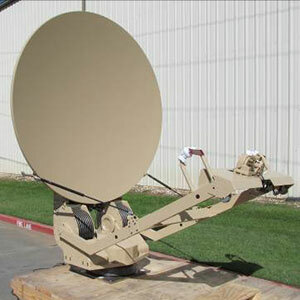 The Sat-Lite Technologies Model 1411 vehicle-mount antennas are high performance light weight designs for SNG (satellite news gathering) and military applications. Key features include a precision carbon fiber reflector combined with a light weight pedestal that provides the integrator with a low stow height, space saving profile. The elevation over azimuth pedestal provides excellent stiffness and low backlash characteristics for applications including Ka Band frequencies. The antenna is also designed for mounting redundant RF packages of up to 100 lbs directly on the feed boom. 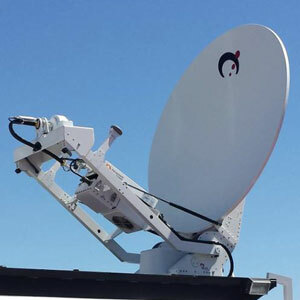 A proprietary rack mount Sat-Lite Technologies Cirrus Antenna Controller offers auto locate features using GPS, compass, and DVB-S2 receiver to quickly identify the satellite. The standard product includes a keypad interface in the rack as well as an enhanced ethernet GUI for laptop or remote interface. 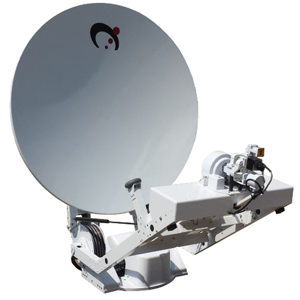 The antenna is designed to meet international RF performance requirements for commercial and military applications including Intelsat, Eutelsat, and FCC specifications. Whatever the industry, Sat-Lite can deliver a high performance vehicle mount antenna for reliable communication solutions. The Sat-Lite Technologies Cirrus Antenna Controller is designed to automatically locate and peak on a target satellite with the simple push of a button in about 3 to 5 minutes. A user friendly interface is provided with a keypad and LCD Display as well as an enhanced ethernet GUI. 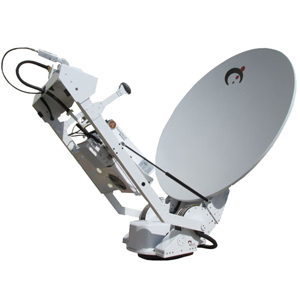 The Cirrus Controller can operate independently of modems by locking on to a number of DVBS-2 carriers to positively identify a satellite, peak on it to obtain optimal azimuth heading, then move to a final target satellite. The DVB carriers can be easily programmed from the GUI and set optimally by the user for fast and efficient acquisitions. The unit includes a GPS and Compass and can provide GPS data to an external modem. The controller is designed to operate with a full array of Sat-Lite Technologies Vehicle Mount Antennas from 1.0 meter to 1.8 meter applications. 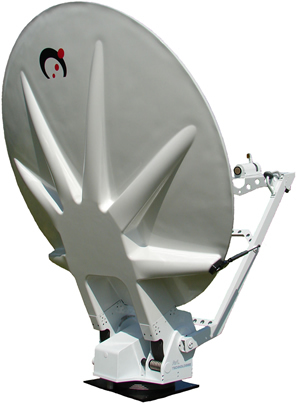 The Sat-Lite Technologies RC3000 Antenna Controller is designed to automatically locate a target satellite with the simple push of a button. A user friendly menu based interface is provided with a keypad and LCD Display. The controller includes a GPS and Compass to automatically calculate look angles and locate stored satellites (up to 50). The controller is designed to operate with a full array of Sat-Lite Technologies Vehicle Mount Antennas from 1.0 meter to 2.4 meter applications. The Sat-Lite Technologies RC4000 Antenna Controller is designed to automatically locate a target satellite with the simple push of a button. A user friendly menu based interface is provided with a keypad and LCD Display. The controller includes a GPS and Compass to automatically calculate look angles and locate stored satellites (up to 50). The controller is designed to operate with a full array of Sat-Lite Technologies Vehicle Mount Antennas from 1.0 meter to 2.4 meter applications.